One of my favorite treats growing up was something called the Chipwich at the Nantucket Juice Bar. It was two massive chocolate chip cookies filled with your choice of ice cream. Over the years, I probably tried all of the flavors, but my go to has always been Cherry Vanilla (kinda weird… I know). It was this sweet vanilla ice cream, speckled with giant cherries. Paired with the thick chocolaty cookies, it was out of this world. I’ve re-created this classic summer treat and I think you’ll dig it. Not only that – it’s a great dessert for summer entertaining. While I was making this delicious summer treat I was thinking about store bought foods. You know how some are really good and some you can just make better yourself? Items like potato chips, peanut butter, ketchup… (you get the idea) are all items I’d probably never try to re-create. It’s one of those things that just isn’t worth it to me. 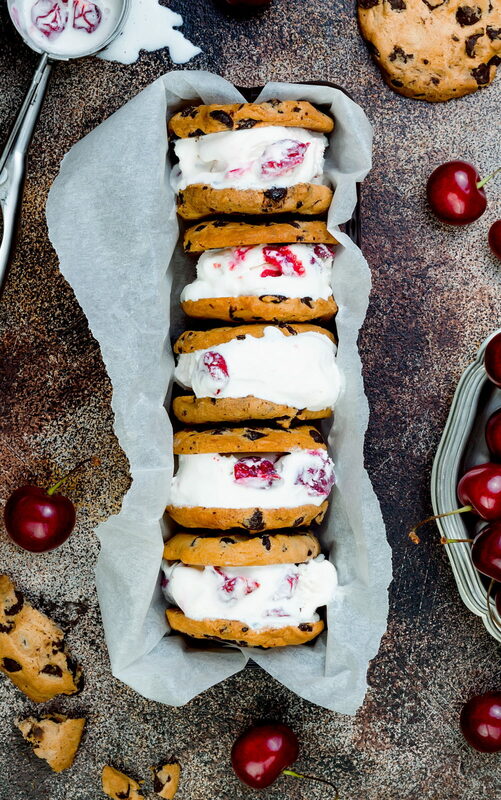 But ice cream sandwiches… now that is worth it. Say goodbye to soggy cookies and that cheapo tasting ice cream because you’re about to make your own delicious concoction. A homemade Chipwich is up there with some of the simplest things to make. 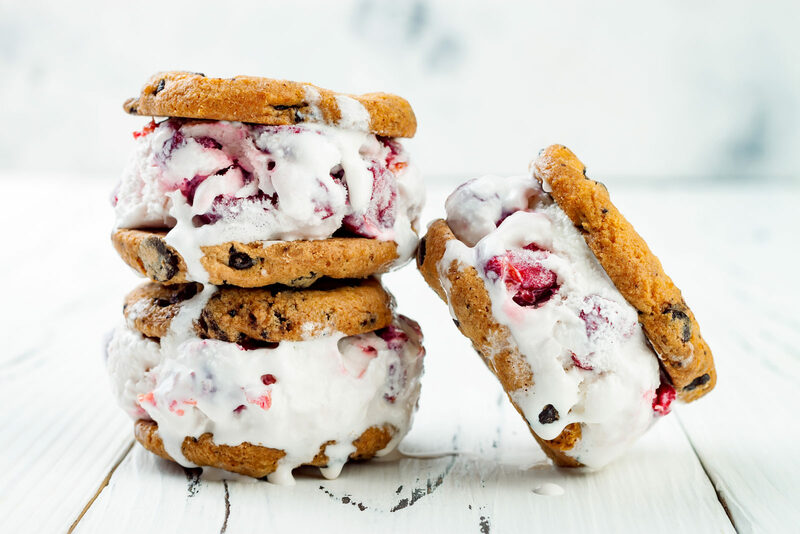 If you can make chocolate chip cookies you can make ice cream sandwiches. Use your favorite cookie recipe (or my favorite, which I share below) and add in your ice cream. And that’s that! Pretty simple, right? 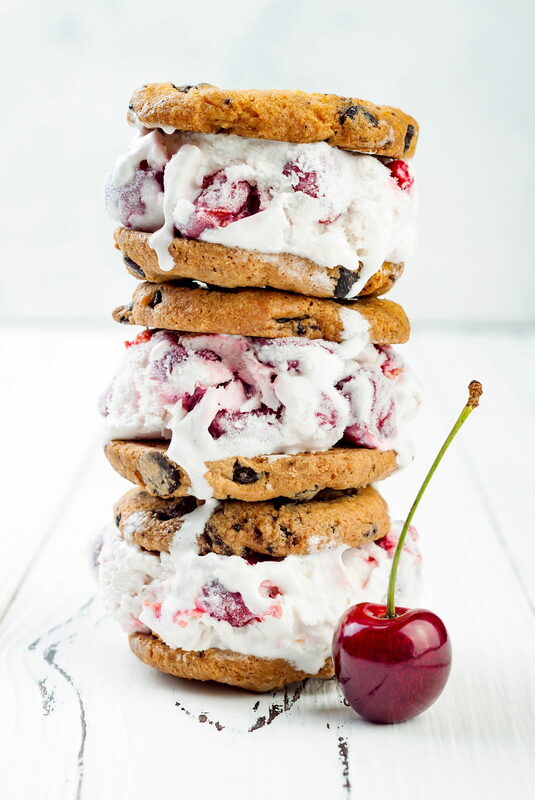 Add a scoop of ice cream to a cookie and place another cookie on top to make a sandwich. Wrap in wax paper and place in the freezer immediately.